Cold calling, lead generation, appointment setting, email marketing and event marketing. In fact, there are a lot of outbound lead generation efforts that can help you create brand awareness, build a relationship and nurture your prospects. Let’s face it, outbound sales leads nowadays has a longer process and are often hard to close. 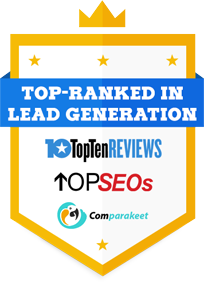 But that doesn’t change the fact that outbound lead generation is still considered the best way to generate more leads for your business. Here are 10 proofs that outbound efforts can really help close deals. Emails are sales rep’s best friend. Here are some stats that show that emails are considered a powerful tool when done right. Telemarketing is still considered the fastest way to generate leads. Contacting prospects and getting “yes” or “no” answer lets you focus more on good prospects that are really interested to do business with you. Here are some stats that outbound B2B telemarketing is still your best option for lead generation and appointment setting campaigns according to 72 Solutions. Telemarketing is the most effective lead nurturing technique. At least 60% of Marketing Managers claim that telemarketing is ‘very effective’ for lead nurturing. Learn The Four P’s Of Sales Leads Nurturing. Telemarketing delivers far better quality leads than social media. Although social media is more popular, telemarketing delivers higher and better quality leads. B2B Telemarketing is NOT annoying. In fact, Managers expect to receive sales calls. According to SCi Sales Group, B2B telemarketing is not annoying – especially in B2B. Managers expect to receive sales calls, it is part of their job and a way to find better and reliable suppliers. There is more to social media than just simply staying connected with friends and families. Facebook, Twitter, Instagram, etc are also used for business to generate sales. In fact, here are some of the stats from Triblio.com that shows social media channels can be used to increase sales and profits. A company with the highest social media activity increased their sales by 18% +. In order to get higher close ratio, it is important to become visible. Reaching out to your prospects through various channels – emails, voice, chat, web, social media and mobile is the best technique for lead generation. Here’s 1 proof that an outbound effort using multiple channels is considered the best way to close deals in Australia. These 10 proofs show that up to this date, outbound lead generation is still relevant. Many marketers still use outbound marketing to reach out, nurture and build relationships with their prospects. Because they know, one day, they can convert these prospects into actual customers.